PETALING JAYA (Oct 6): A whopping 96.47% of the 5,485 reported structural or building fire incidents in Malaysia last year were accidental, according to the latest data from the Fire and Rescue Department Malaysia (Bomba). The numbers underscore a crucial fact that most structural fires can be avoided with high fire safety awareness within the community, especially in residential buildings as the majority of structural fire incidents involve homes. 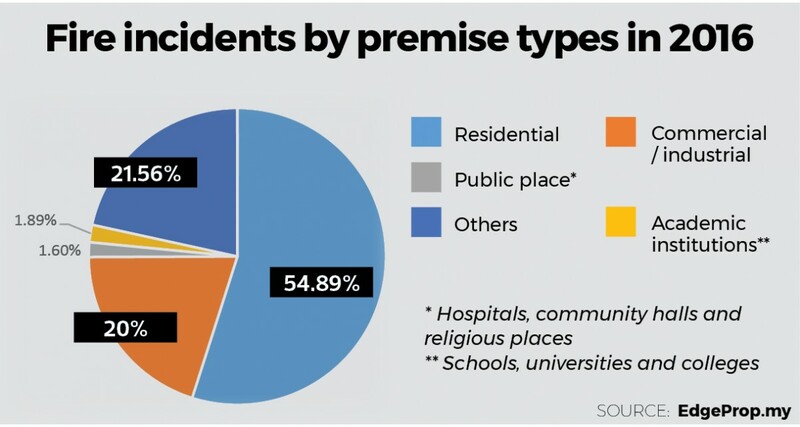 Meanwhile, blazes in residential properties (landed, high-rise, squatter and long house/traditional house) dominated the statistics, at 3,308 cases or 60.3%, followed by shoplots (528 or 9.6%) and stores (323 or 5.8%). The top causes of residential fires were electrical, cooking gas and unknown causes. 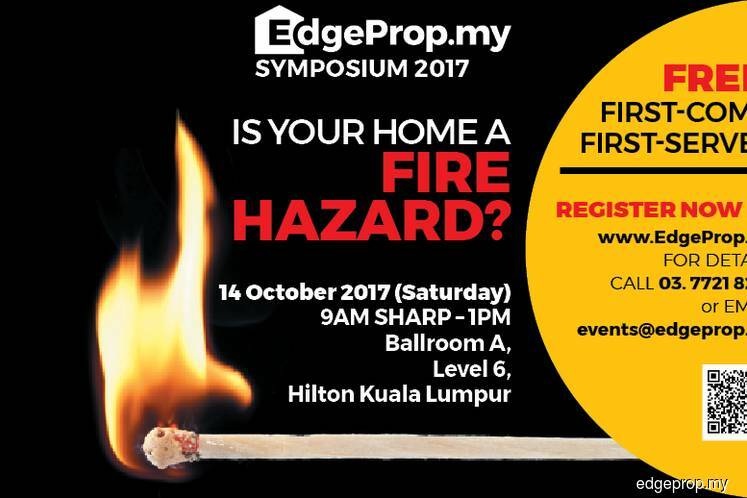 To raise awareness on the need for everyone to stay vigilant and updated on home fire safety procedures and responses, EdgeProp.my is organising a half-day free symposium on Saturday, Oct 14 from 9am to 1pm at the Hilton KL Sentral. Participants can register online based on a first-come, first-served basis. The symposium is presented by Gamuda Land and supported by Nippon Paint. Five experts will be sharing fire safety and prevention measures in homes. They are Architect Centre accredited building inspector and trainer Anthony Lee Tee, Lee Siong Architect principal architect Chong Lee Siong, Bomba’s Fire Safety Division assistant commissioner Hamdan Ali, Henry Butcher Malaysia (Mont Kiara) Sdn Bhd executive director Low Hon Keong and The Energy Commission’s Electrical Equipment Unit — Electrical Safety Regulation Department executive Nur Faidarina Alias. Lee’s topic is “Burning facts that you cannot ignore”, where he will reveal facts and figures based on real-life fire incidents in Malaysia, as well as electrical safety issues. Low will elaborate on the importance of fire prevention features, such as fire staircases and firefighting water pumps in a property. Chong’s topic is “So, your home was built with fire safety in mind?”, while Faidarina will share about guidelines and offer tips on how to safeguard your home against electrical incidents. This story first appeared in EdgeProp.my pullout on Oct 6, 2017. Download EdgeProp.my pullout here for free.